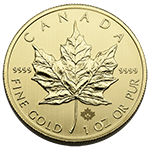 Buy and Sell Gold, Silver, Platinum, and Palladium, Bullion and Coin. Store at independent depositories worldwide. PMI, Ltd. Many industries depend upon and consume Precious Metals. In fact, Gold is gaining greater and greater importance in the field of medicine. Since 2001 we have been witnessing the beginning stages of the longest Bull Market in Precious Metals prices in the history of their pricing in U.S. Dollars. This Bull Market is expected by most major analysts to continue for many years to come taking prices to levels never before seen and difficult to fathom for non-believers. Throughout history physical precious metals have been characterized by their ability to save and preserve value. The purchasing power of a physical precious metal product has not only been maintained, but has increased over time. Many respected analysts and legislators like Jim Rickards and Ron Paul estimate that the value of these products could multiply in the coming years, which could generate wealth in a secure and efficient manner. Today, one of the best ways to preserve capital and secure a more stable financial future, despite the global economic environment, is diversification in physical precious metals. Buy and Sell in all worldwide markets, plus the ability to place stop orders. Store and diversify at independent, insured, allocated and secure depositories worldwide. Trade in 1-oz increments at wholesale prices and have instant liquidity of your product. Take delivery of your product at any of our storage partners at any time. Precious Metals International, Ltd. (PMI) is a leading wholesale provider of physical precious metals bullion products including gold, silver, platinum and palladium. All products are of Hallmark refineries and exchange approved to trade in all worldwide markets. 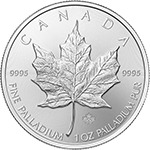 PMI only offers physical bullion and does not deal in futures, options, securities or derivatives. 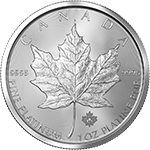 Most jurisdictions do not require special licensing to trade physical bullion. All products purchased through PMI are physical and ready for immediate delivery to the client’s appointed destination, whether it is his or her residence or a personal safety deposit box. PMI retains storage contracts with the world's most respected valuables assurance companies such as Brinks, IDS, The Perth Mint, Strategic Wealth Preservation, Loomis, Malca-Amit among others, thereby giving the client the ability and option to store and maintain their product in alternate locations. The product is always available for sale or for access to a line of credit using the product as collateral. Purchase and Store your Gold Bars in Switzerland to help Protect your Portfolio against geopolitical and financial instability. Diversify your portfolio with One ounce Gold Bars minted by Valcambi Suisse. Every Valcambi Suisse bar is fabricated with the logo of their maker and numbered with an individual serial number for easy verification of weight, purity and authenticity. One ounce Gold Bars are the most popular weights in the industry, they are convenient for transporting and easily stored. These 1 Kilo Argor Bars are crafted by Argor-Heraeus SA, a company with more than 66 years of history in Switzerland and one of the world’s largest processors of precious metals. These bars contain 1 kilo (32.15 oz) of .999 fine silver and are one of the easiest ways to store and transport precious metals. Every bar can be easily recognized and identified by the Argor-Heraeus SA logo, the purity and weight measurements and a unique serial number to guarantee its authenticity. These bars are available for your purchase and may be stored for your convenience and safety in certified vaults in Singapore and Hong Kong. How do I get and store my own bars? PMI is pleased to provide US Citizens and Legal Residents of the US with the opportunity to establish Self-Directed Individual Retirement Accounts, designed specifically for the ownership and storage of the US Government, Internal Revenue Service approved Precious Metals Bullion and Coin Products. PMI also provides Canadian Citizens and legal residents the ability to take control of their retirement by establishing a Registered Retirement Savings Plan (RRSP). An RRSP is a retirement account created by the Canadian Government to help you build a nest egg for your future. Bulk Bullion refers to Bullion product held through PMI’s Bulk Bullion Custody Service and represents an interest in non-allocated Bulk Bullion holdings. It is NOT a certificate, grant or endowment convertible to Bullion. Bulk Bullion holdings comprise a mix of various Bullion holdings maintained at major institutions (please ask about our Depository Relationships). Customer holdings can be traded in 1-ounce increments. PMI does not maintain short positions, does not trade futures, does not trade options, and does not lease Bullion. Bulk Bullion Custody holdings offer customers a flexible and cost-effective way to invest in Precious Metals. Holding positions in Bulk Bullion form improves liquidity and provides fair pricing in all market conditions. 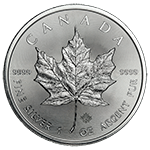 Of course, upon payment of applicable differences in premiums, shipping and handling fees, customers can convert their Bulk Bullion holdings to allocated specific types of Bars or Coins and take delivery at any time.